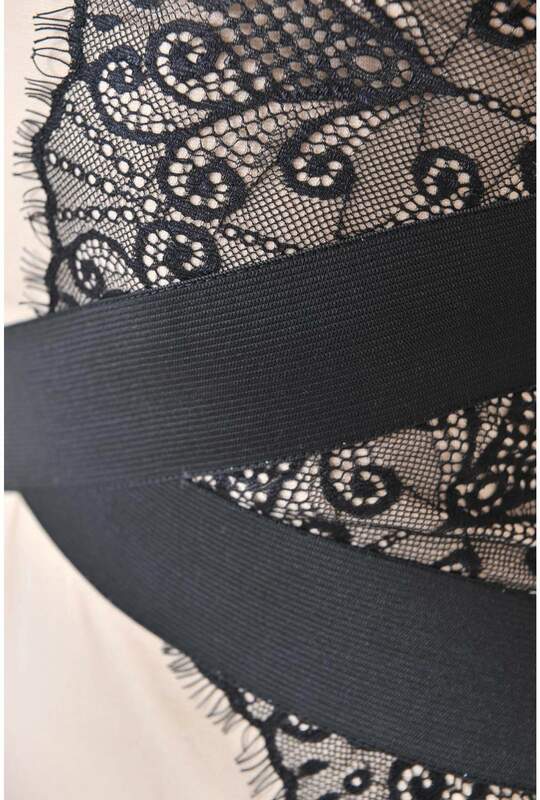 Lace panel detail bandeau dress featuring a strapless sweetheart neckline and black banding along the top with cross over bands and delicate lace panel detail along the side. dress is fastened with a exposed statement back zip. Designed with a bodycon fit and a mini length.